Sílvia Lanao Aregay (Spain, 1995) with her composition Empordà is the winner of the first prize, the Mary Viëtor Prize, of the Alba Rosa Viëtor Composition Competition. The second prize is shared between Mario Oyanadel Guiñez (Chili, 1990) with The only lifeline and Ramin Amin Tafreshi (Iran, 1992) with It’s the Voice that shall Remain. Ramin is also the winner of the Audience prize. Congratulations to all three. The jury (Willem Jeths, Tansy Davies, Paolo Marzocchi, Detlev Glanert and Calliope Tsoupaki) has selected the five works that will be premiered on December 2nd, 2018 in The Concertgebouw Amsterdam, during the Alba Rosa Viva! Festival. The following works for voice and piano trio will be performed by the Amatis Piano Trio, Lilian Farahani and Katharine Dain. Read more about the finalists on this page. 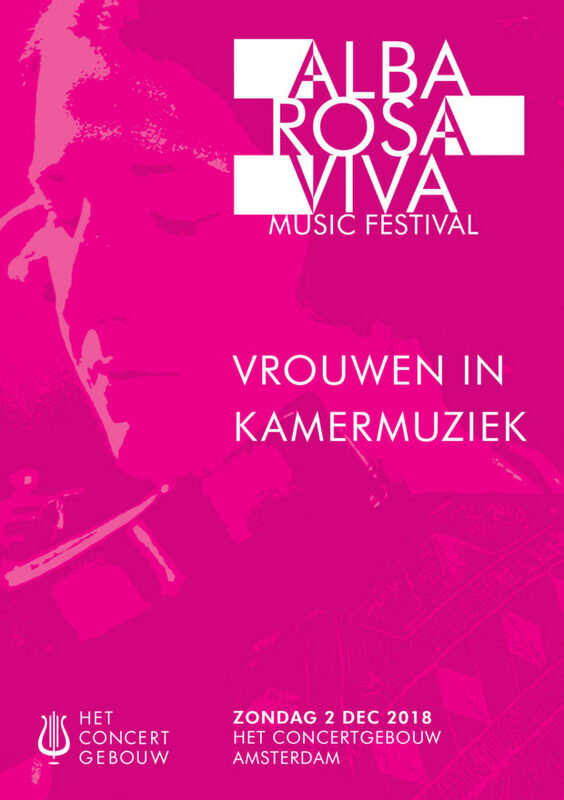 The Alba Rosa Viëtor Composition Competition is part of the Alba Rosa Viva! Festival, named after the Italian composer, violinist and pianist Alba Rosa Viëtor. The Alba Rosa Viëtor Composition Competition 2018 invites composers to submit an original work, not exceeding 9 minutes, for one singer (soprano, mezzo-soprano, alto, countertenor, tenor, baritone or bass) and piano trio (violin, violoncello and piano). Inspired by Shostakovich’s wonderful and unique Alexander Blok suite, we would like to encourage young composers to write for this combination of voice and instruments. This does not imply the need for any relationship to the music of Shostakovich. Composers 35 years of age and under, residing anywhere in the world, are invited to apply. Chairman of the Jury is Dutch composer Willem Jeths. He will be assisted by the English composer Tansy Davies, Italian pianist and composer Paolo Marzocchi, German composer Detlev Glanert and Greek composer Calliope Tsoupaki. Five works will be selected to be premiered on Sunday, December 2nd, 2018, during the Alba Rosa Viva! Festival at The Concertgebouw, Amsterdam (The Netherlands). They will be performed by the Amatis Piano Trio and singers t.b.a. Dutch radio presenter Maartje Stokkers will introduce the finalists. 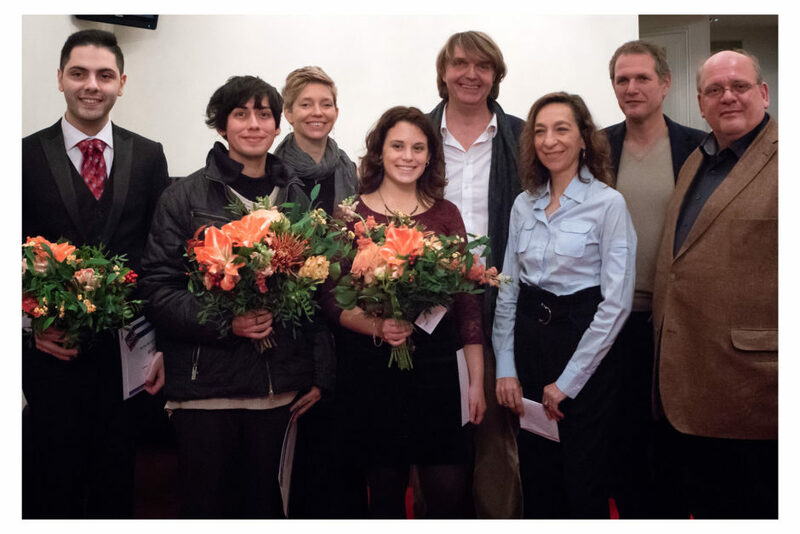 The winning composers will be awarded a First prize of €2,000, a Second Prize of €1,000 or an Audience Prize of €1,000. There is a registration fee of €35. The full score, with separate instrumental parts, as a PDF file, formatted as A4, created in either Sibelius or Finale. The score does not have be anonymous. The registration fee of € 35 should be remitted to account number IBAN NL14ABNA0537207163 (BIC ABNANL2A) of the Alba Rosa Viëtor Foundation in Amsterdam, The Netherlands, at the moment of registration. The Jury will select 5 works from the applications submitted by October 15th, 2018 at the latest. The composers of the works selected for the Finale on December 2nd, 2018 will be notified by email. In the third edition of the one-day festival ALBA ROSA VIVA! female composers form the central thread in all the concerts. Chamber music works by Rosy Wertheim, Henriëtte Bosmans, Alma Mahler, Clara Schumann, Cécile Chaminade, Tansy Davies and Alba Rosa Viëtor will be performed. Also on the program are compositions of Karl Weigl (the teacher of Rosy Wertheim), Willem Jeths, Gabriel Fauré and Franz Schubert. The finale of the Alba Rosa Viëtor Composition Prize will be part of the festival, which include a lecture on women composers and an interview with Tansy Davies. Alba Rosa Viëtor (1889-1979) was a renowned concert violinist, pianist and composer of her time. Her life was divided over three continents. She was born in Italy, emigrated to Montevideo, studied in Brussels and subsequently lived in Buenos Aires, Vienna and New York. Her works have been performed by America’s greatest orchestras and soloists. Alba Rosa Viëtor was a member of the society of American composers.